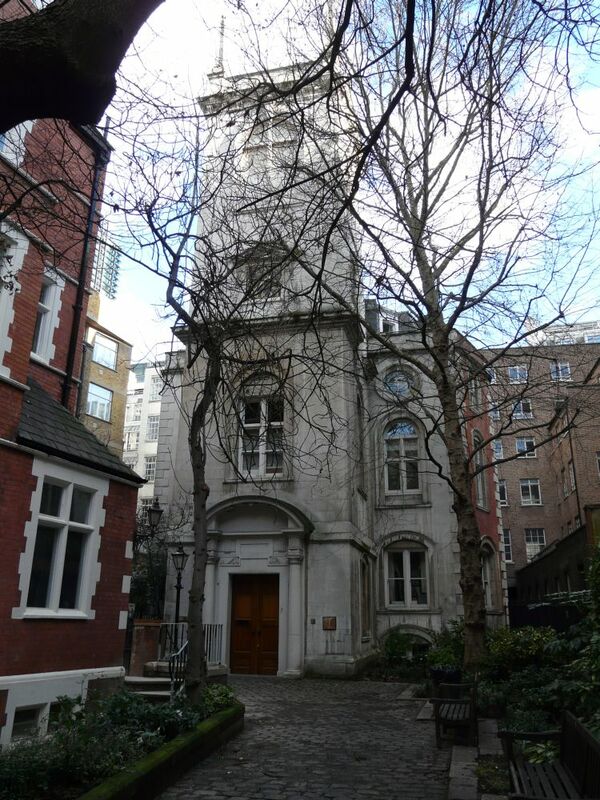 The tower of All Hallows, Lombard Street in the City of London was erected here in 1938-1940 alongside a new church by Robert Atkinson. 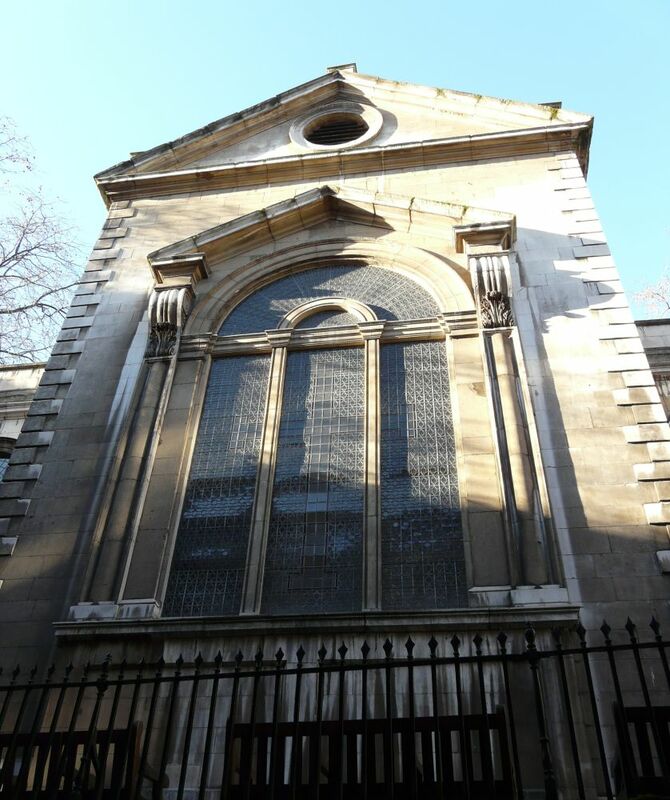 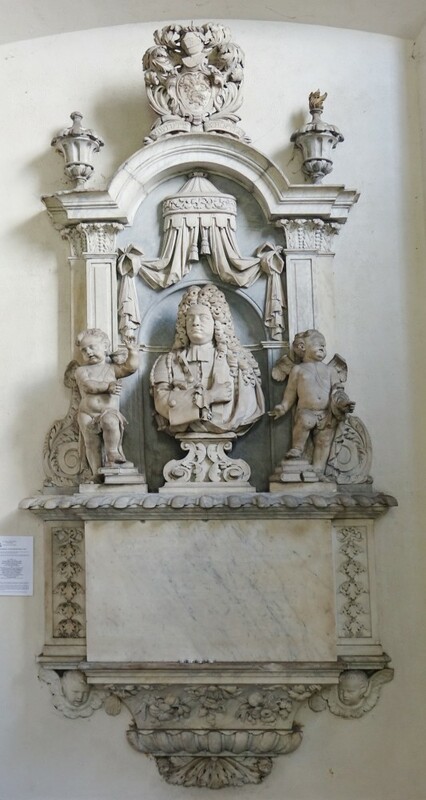 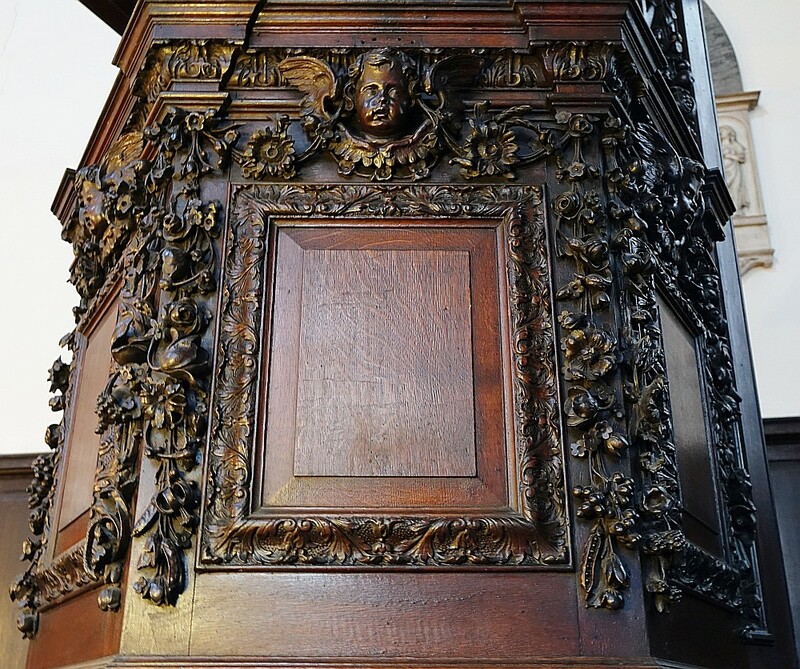 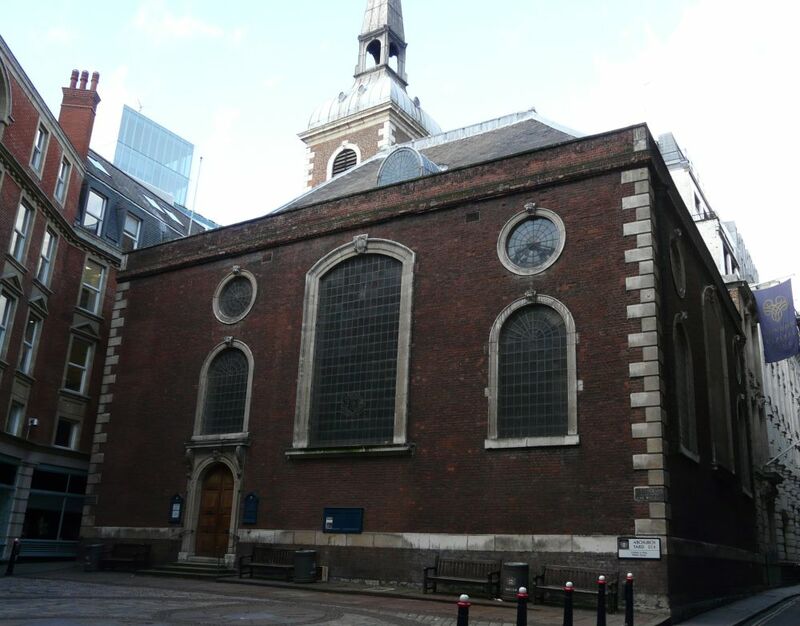 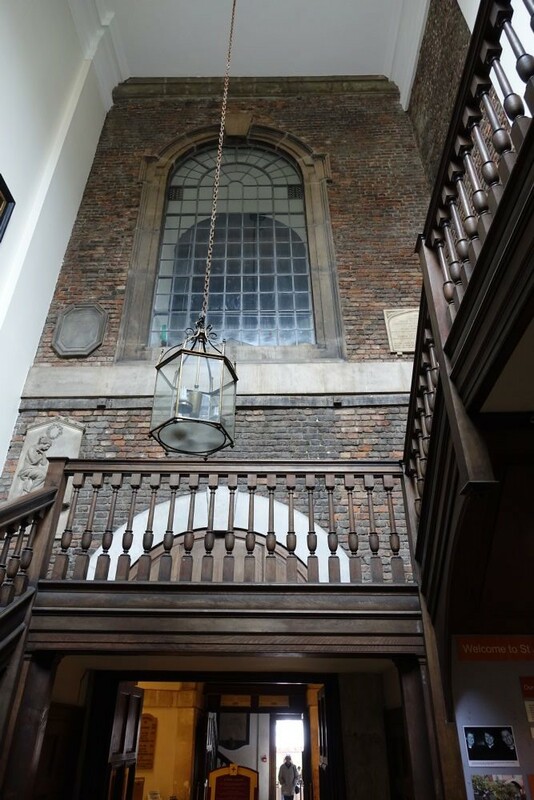 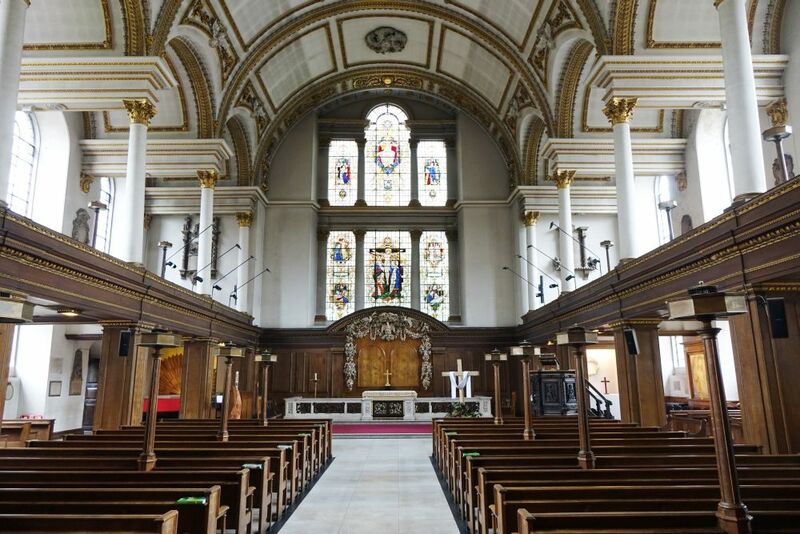 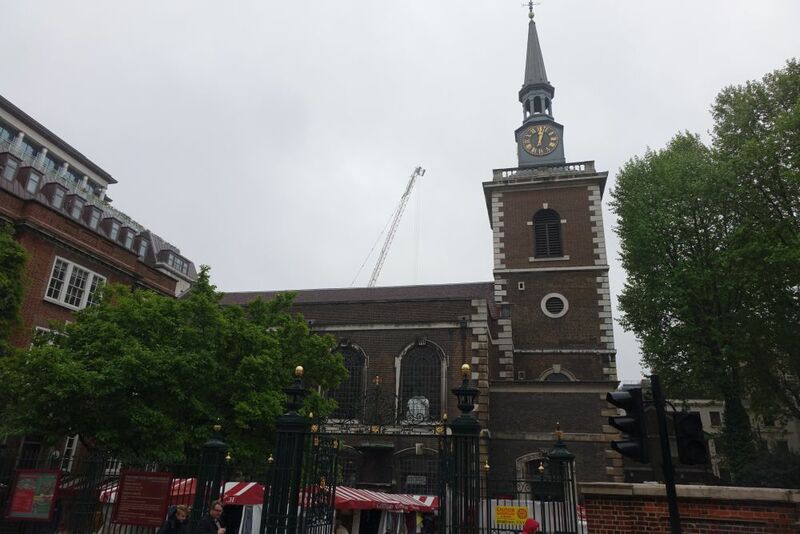 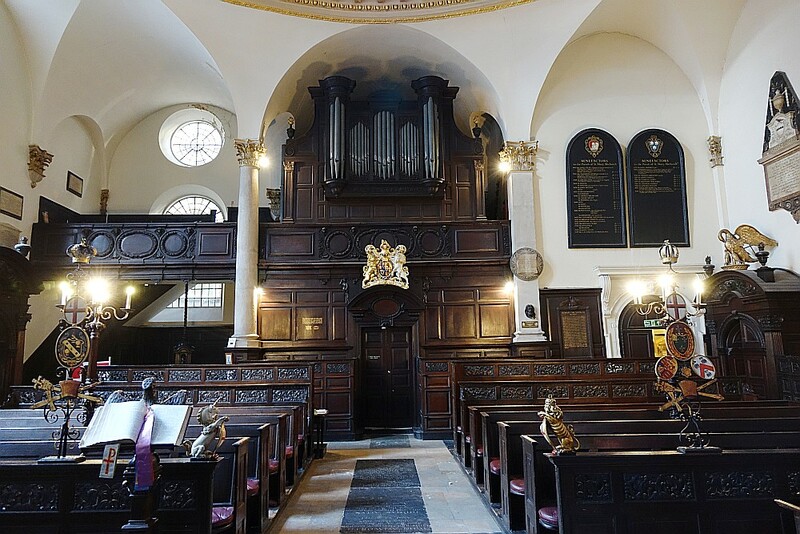 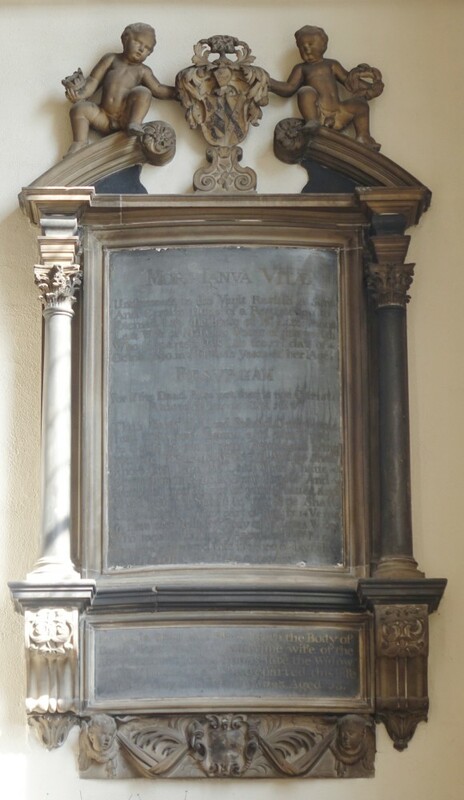 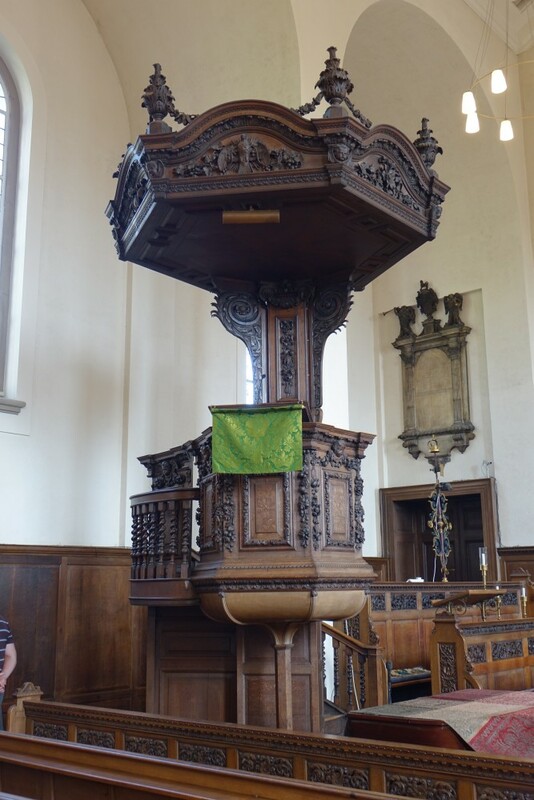 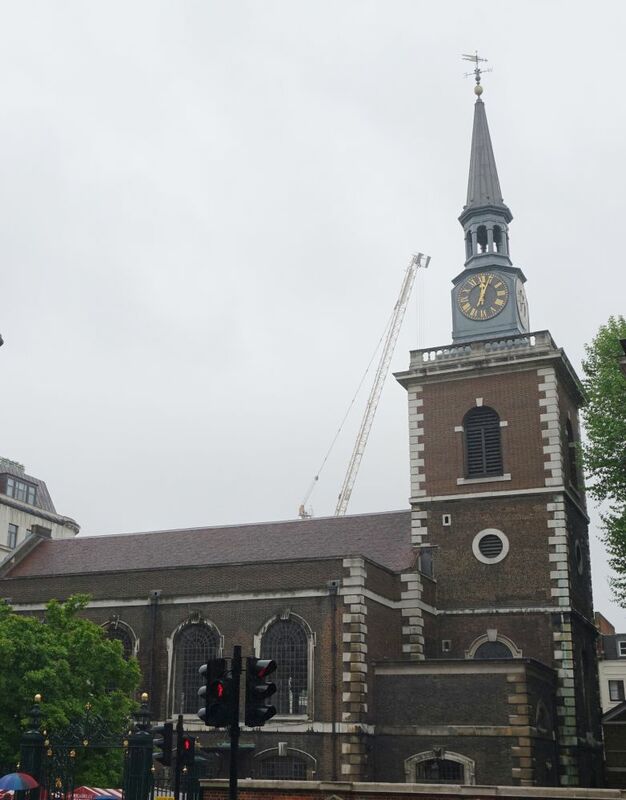 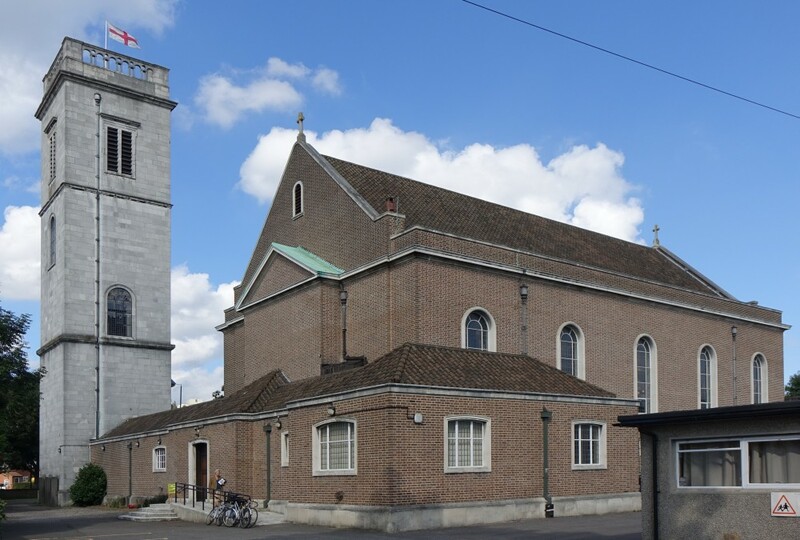 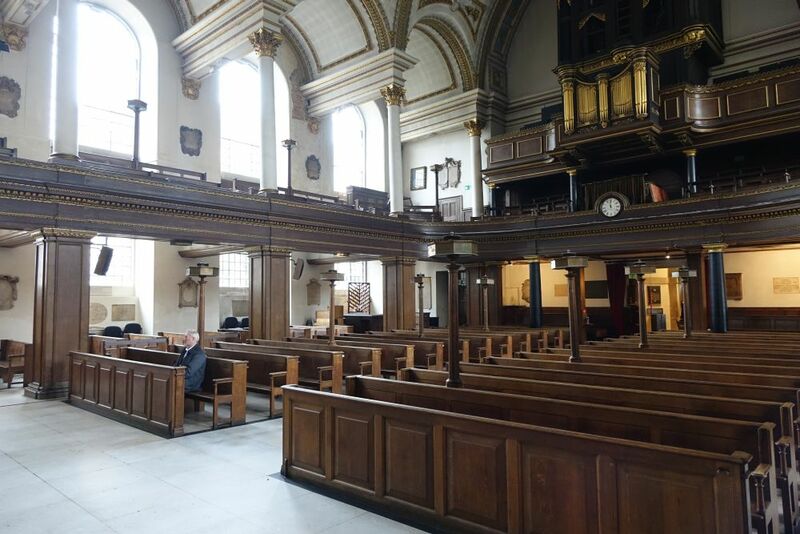 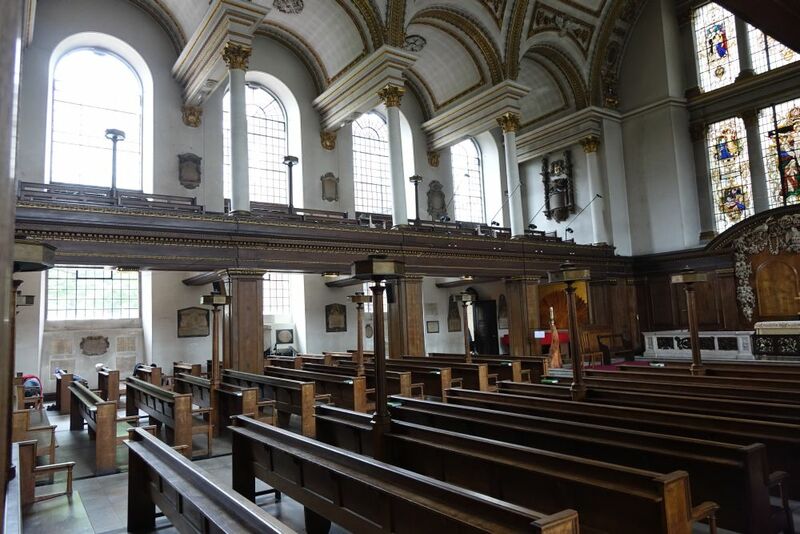 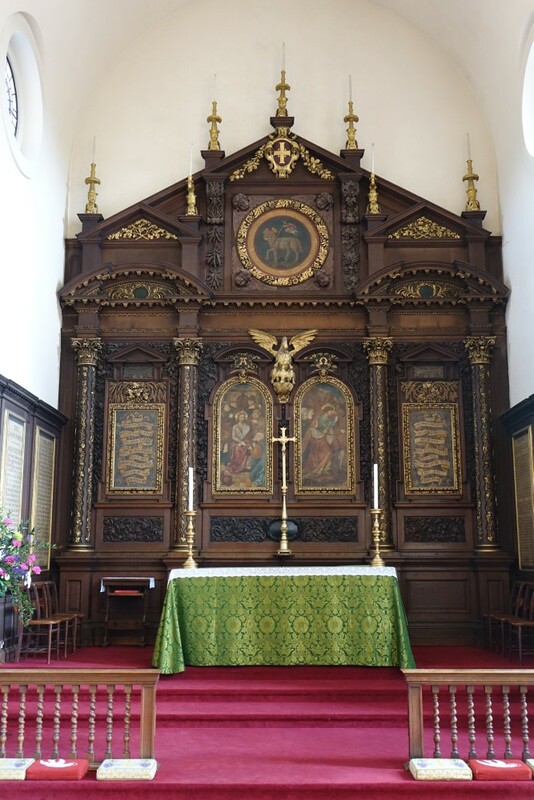 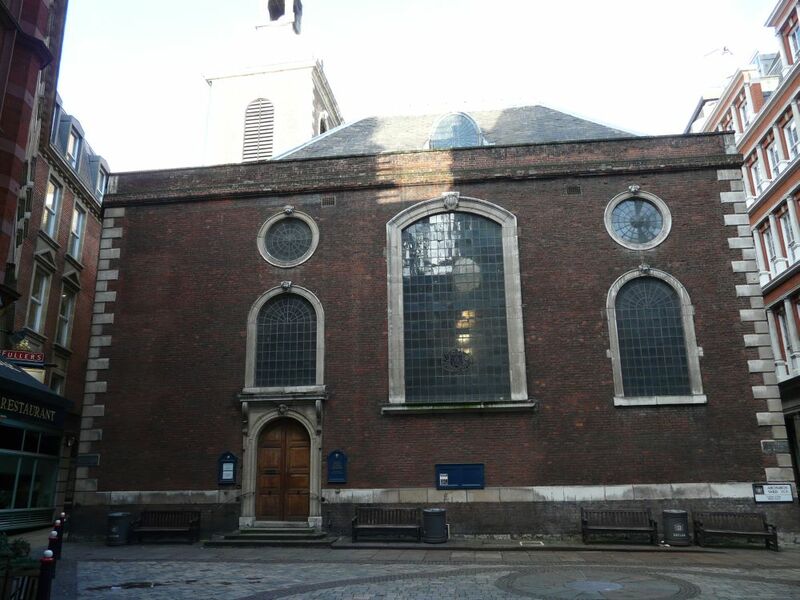 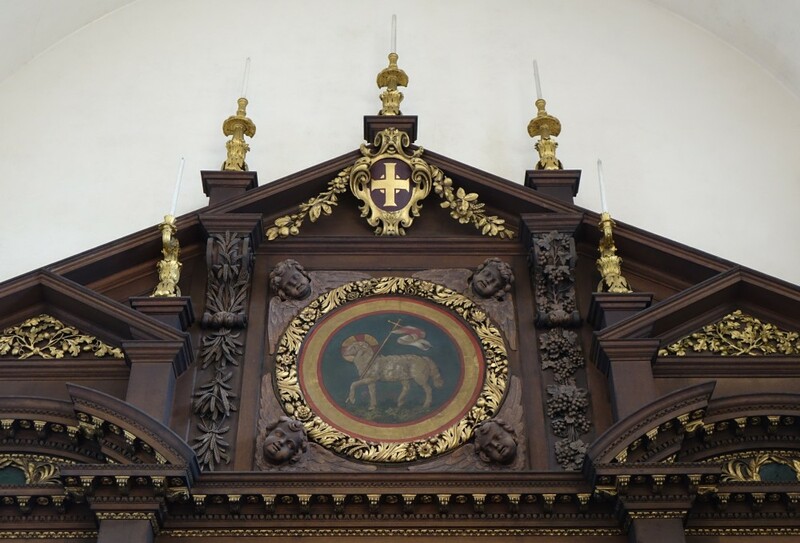 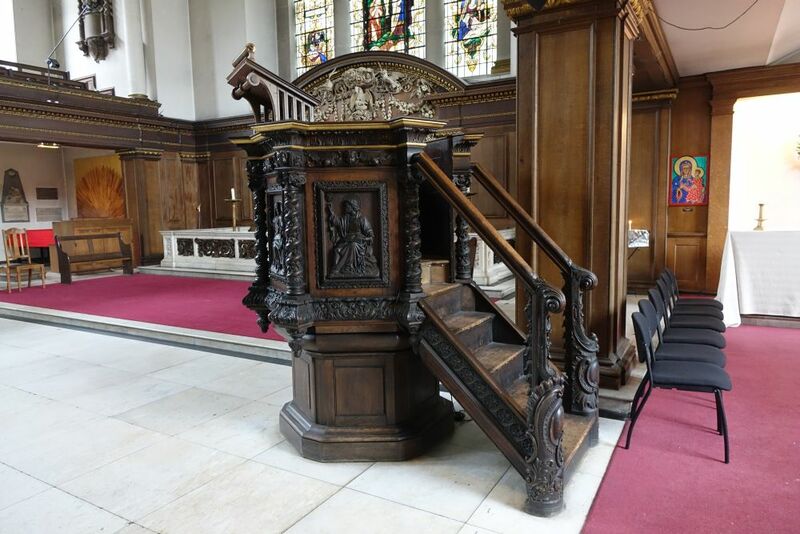 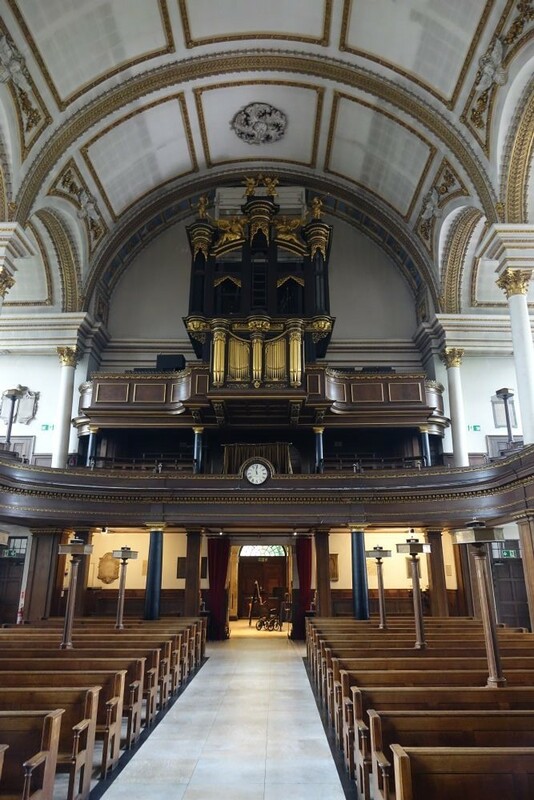 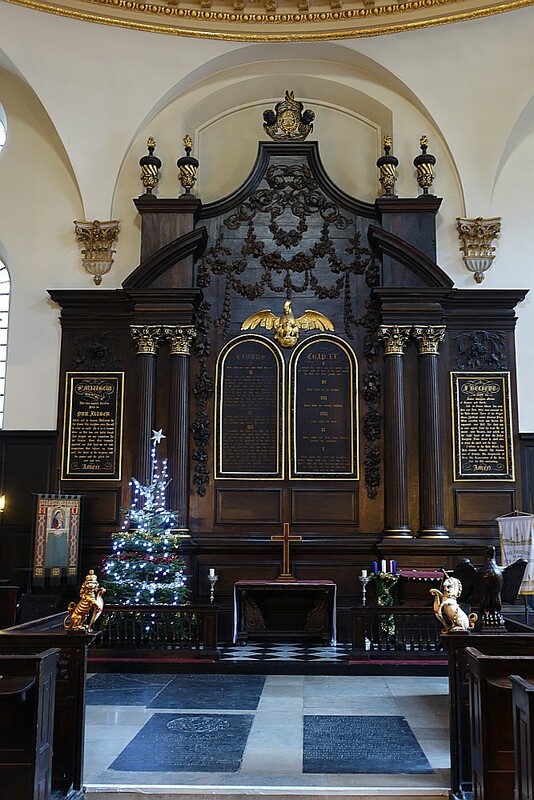 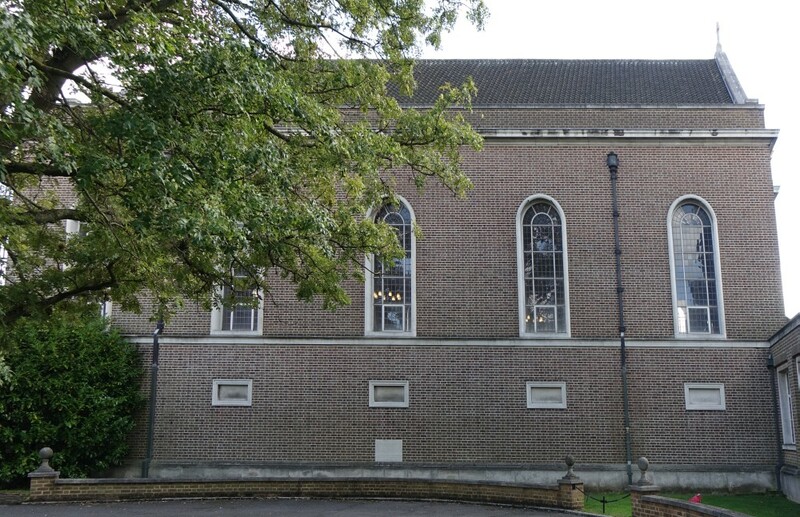 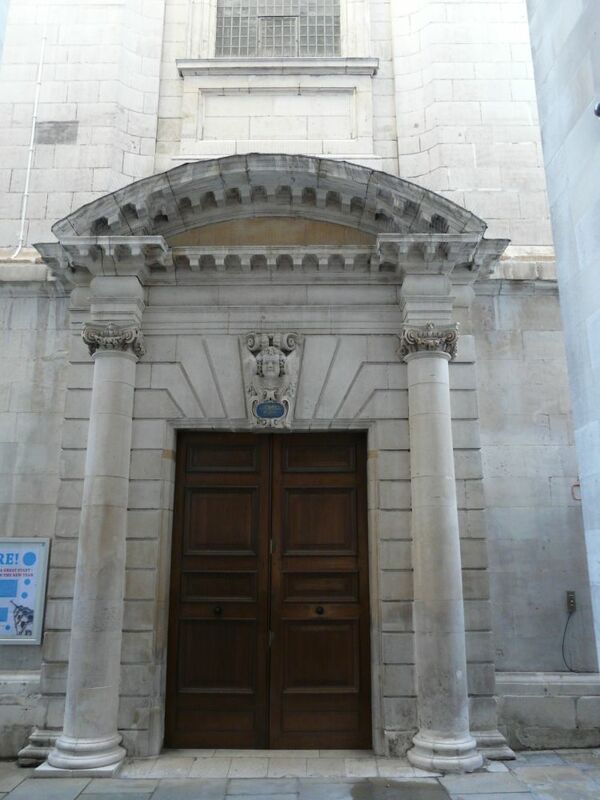 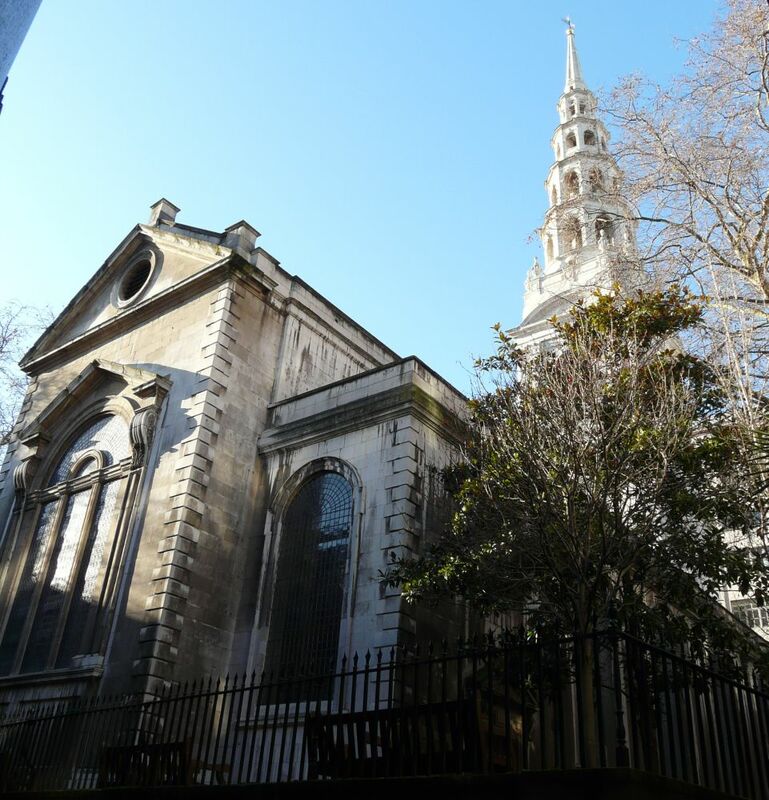 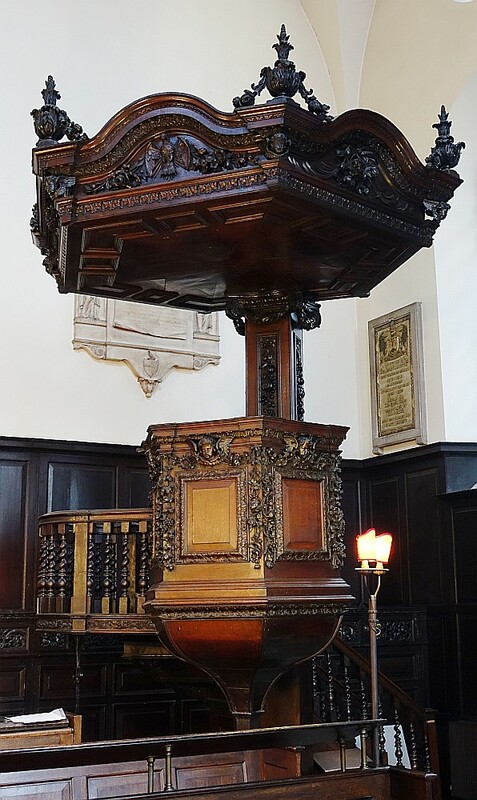 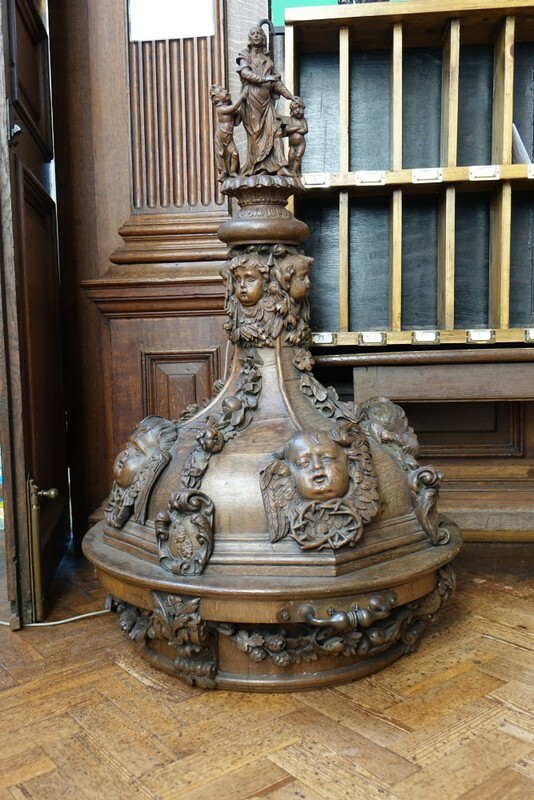 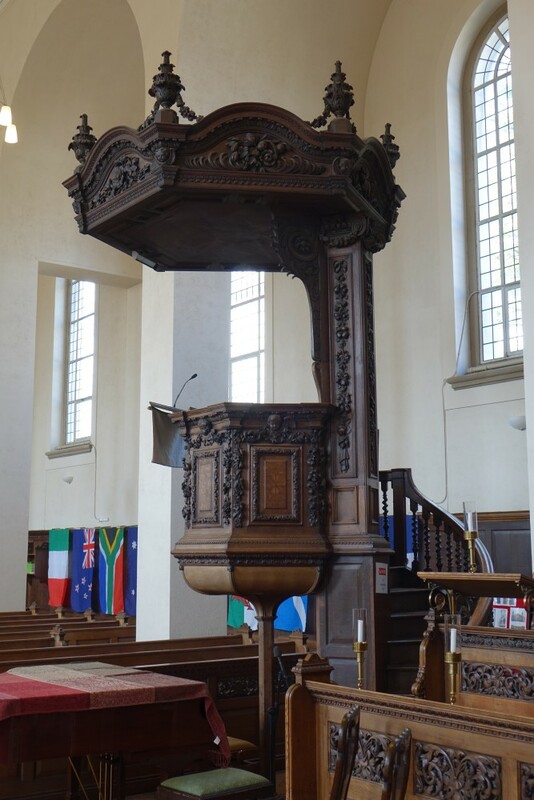 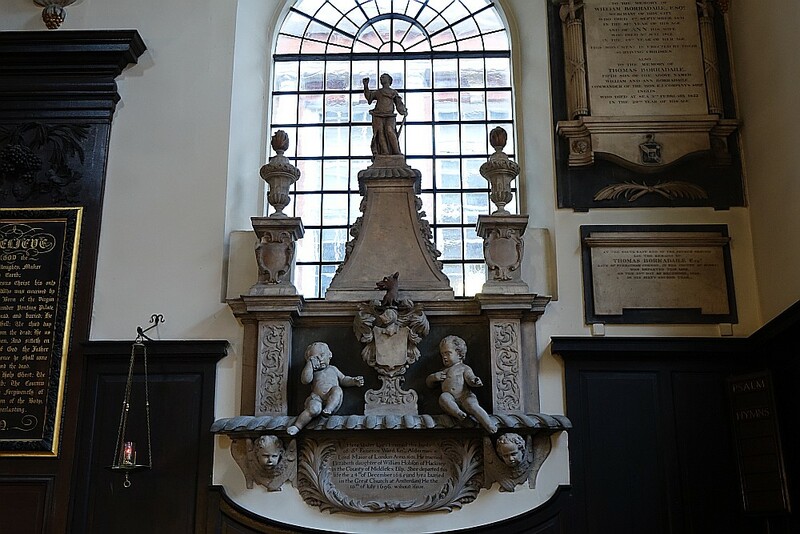 Many of the contents of that church of 1686-94 by Christopher Wren were also re used in the new church as were some from St Benet Gracechurch and St Dionis Backchurch. 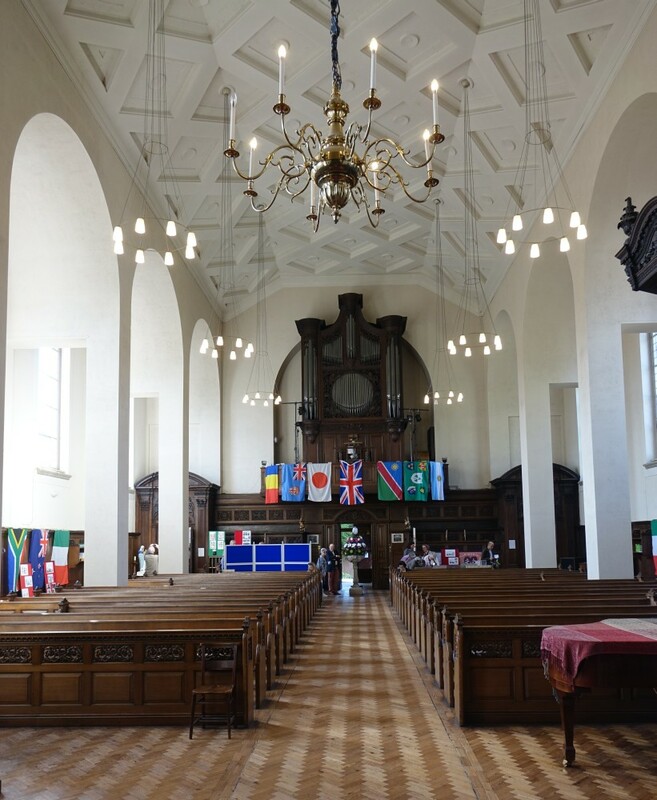 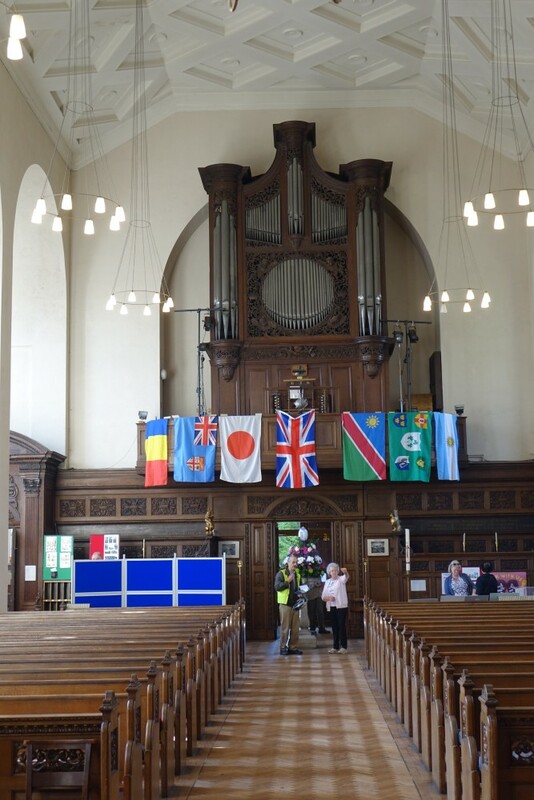 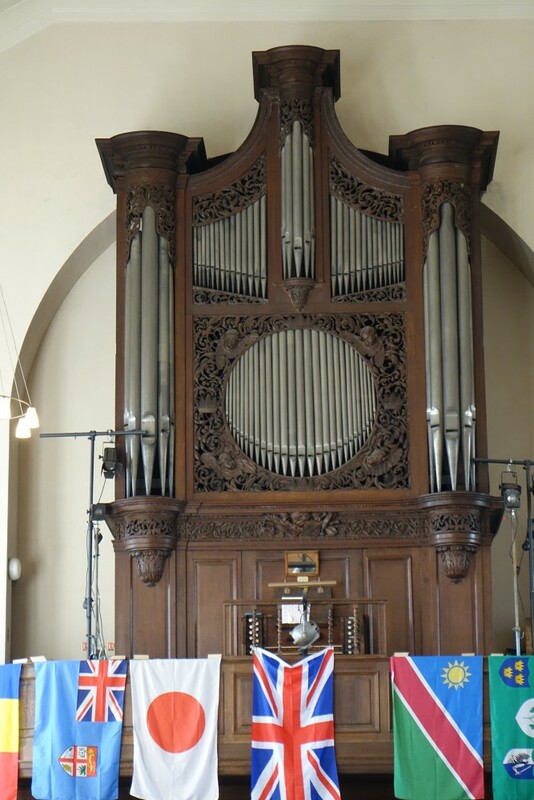 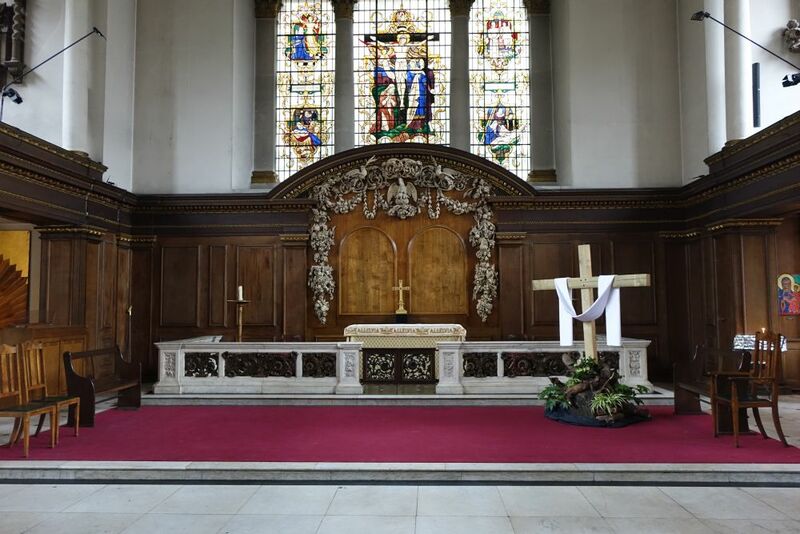 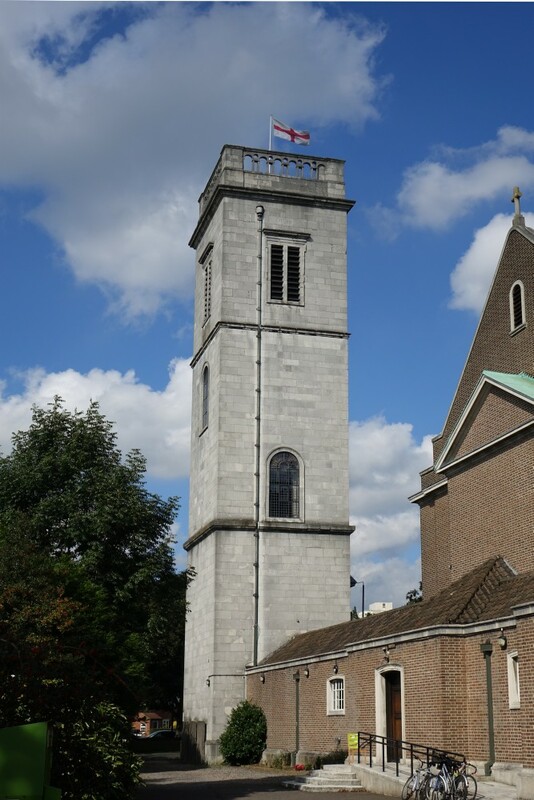 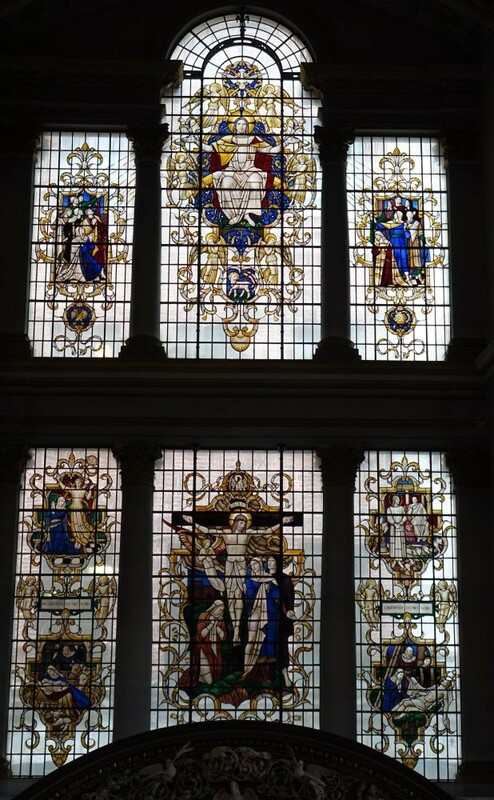 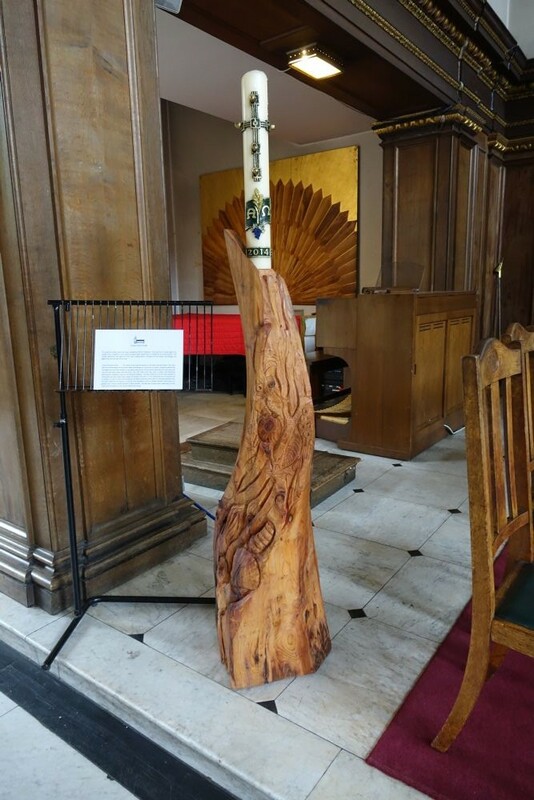 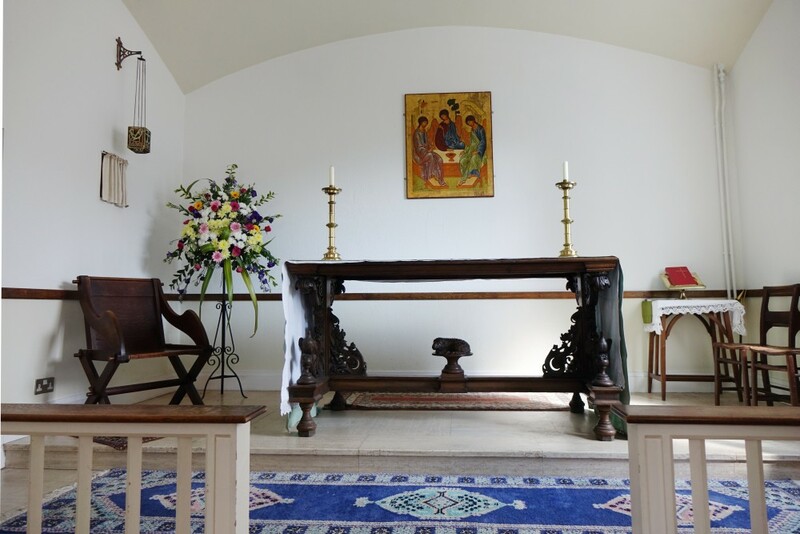 The interior is bedecked with flags of the nations in the 2015 Rugby Union World Cup as the church is only a short way from Twickenham stadium. 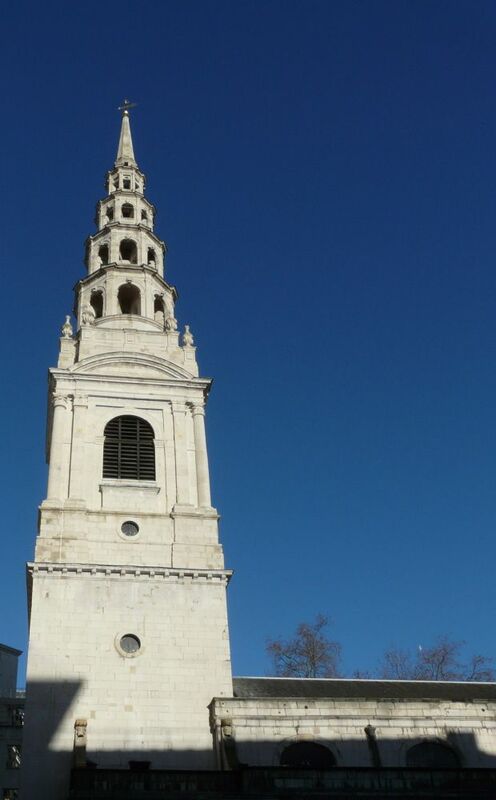 Right on Piccadilly but for the open air market in front of it. 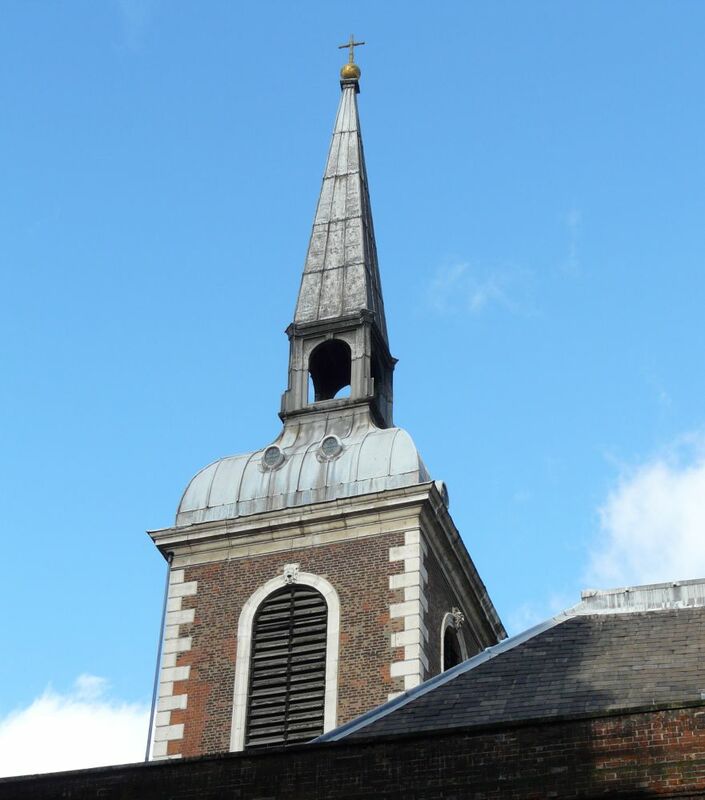 It is by Christopher Wren 1676-84. 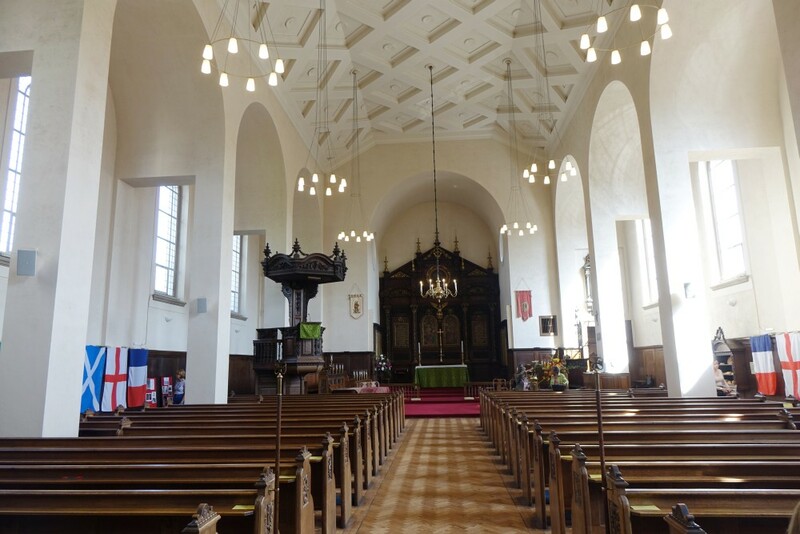 It was restored after WW2 damage by Sir Albert Richardson in 1947-54. 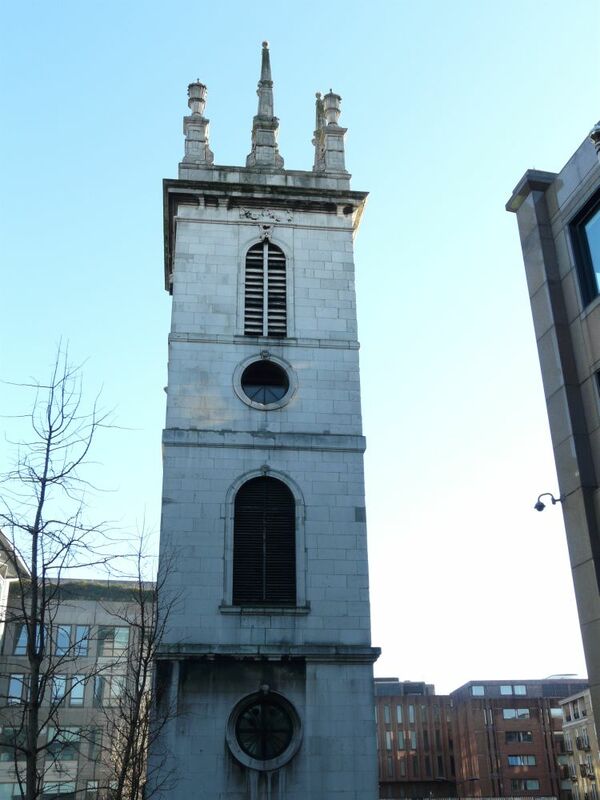 A Wren church of 1671-79 which was demolished in 1892, apart from the tower which is now part of an office development. 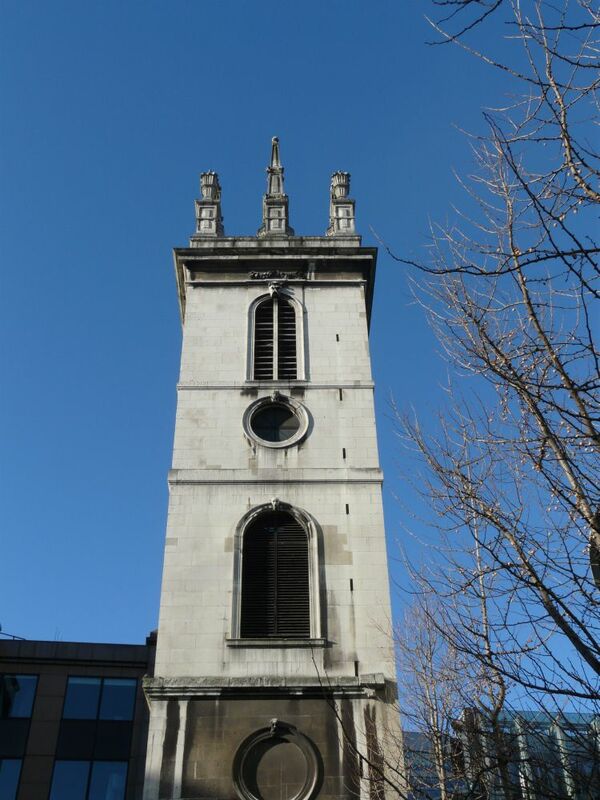 A Wren church of 1685-94, demolished except for the tower in 1869. 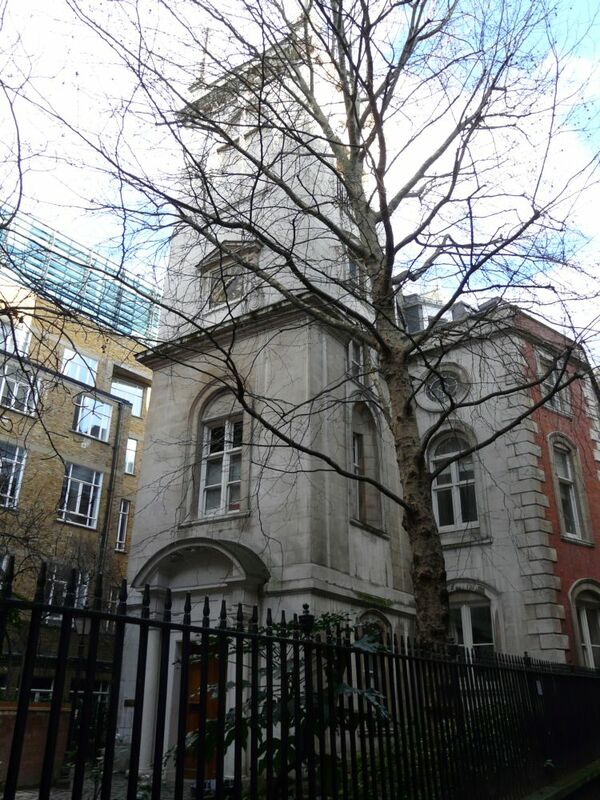 It sits next to one of the busiest roads in the city. 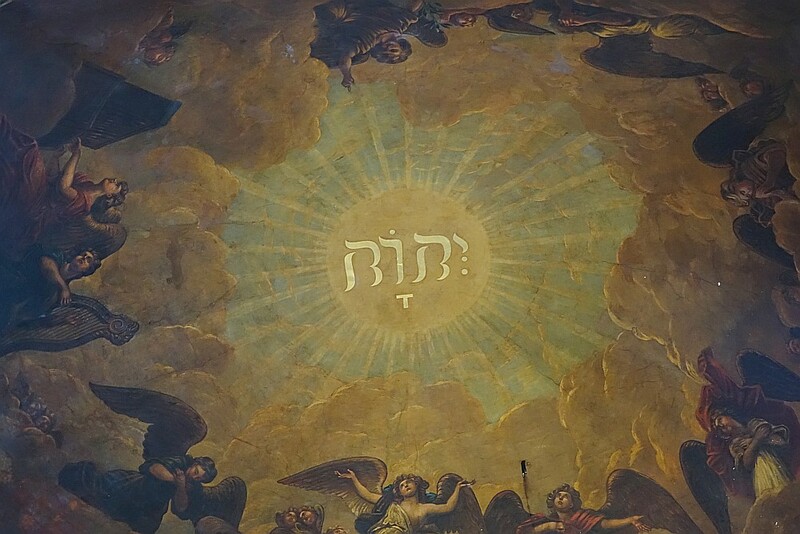 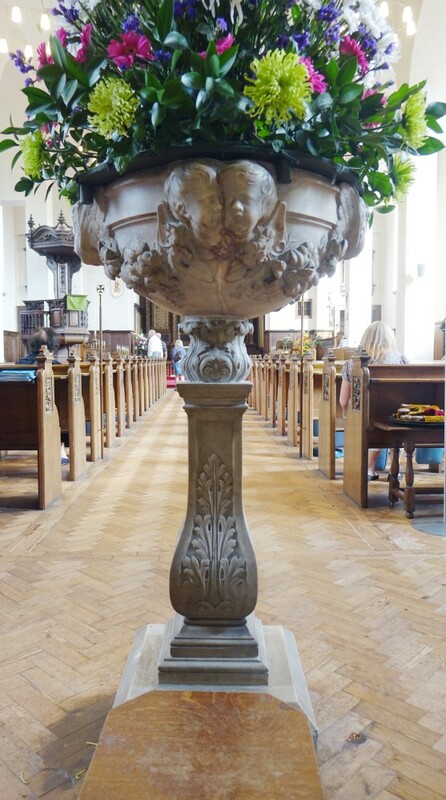 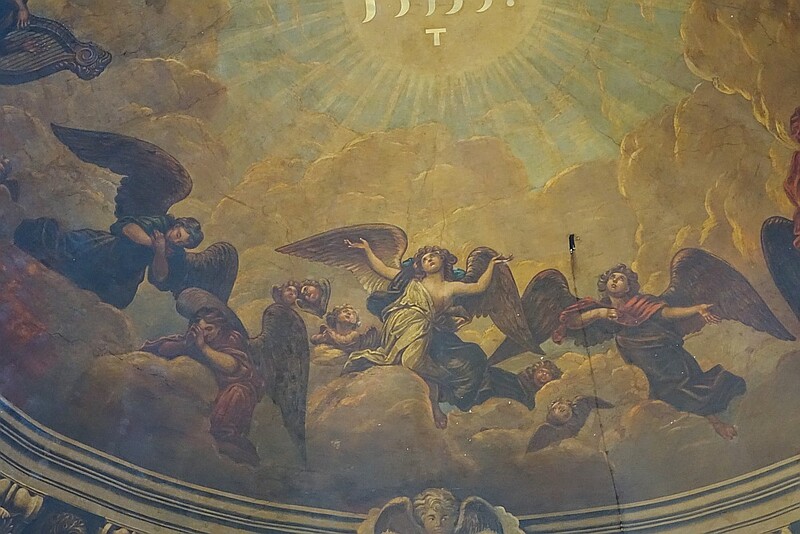 A domed church by Wren 1681-86, damaged in WW2 and restored by Godfrey Allen 1945-57. 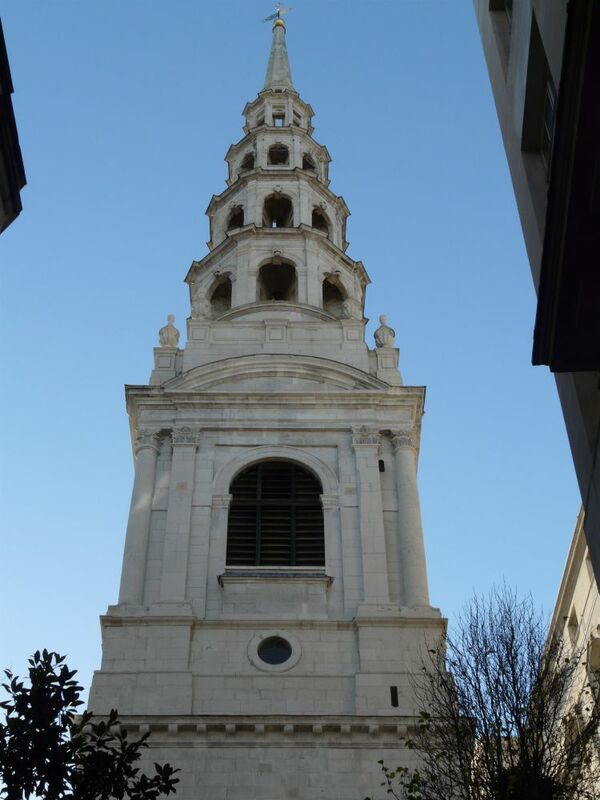 Thanks to its “wedding cake” steeple one of the best known churches in the City. 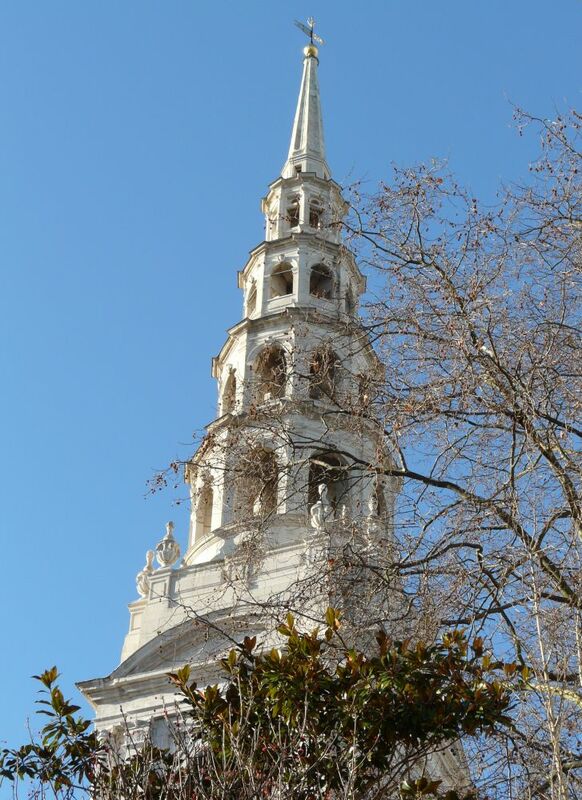 A Christopher Wren design,It dates from 1691-98, with the steeple added 1701-03. 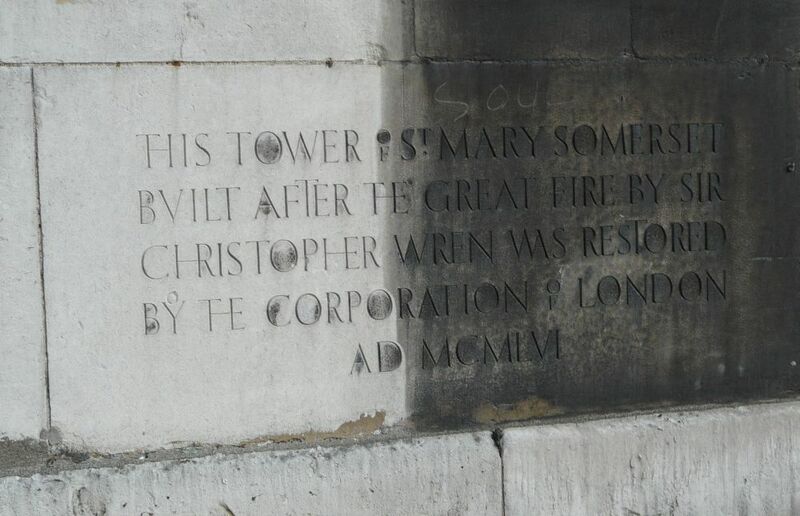 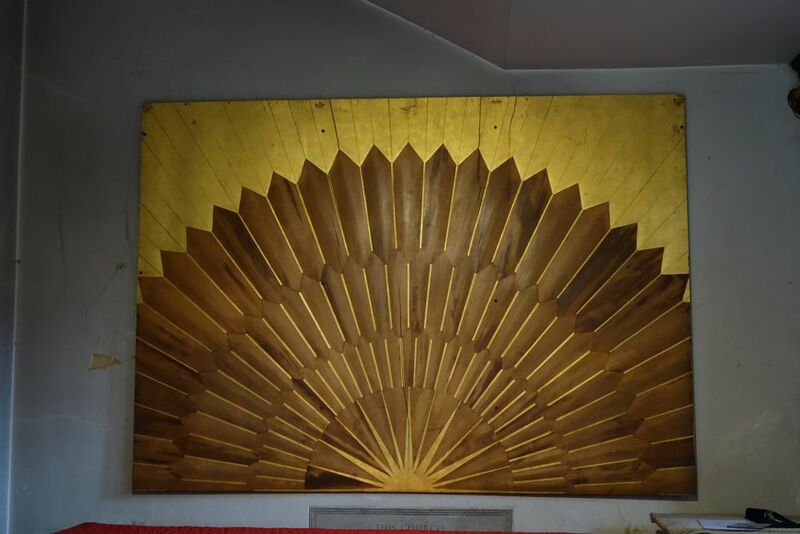 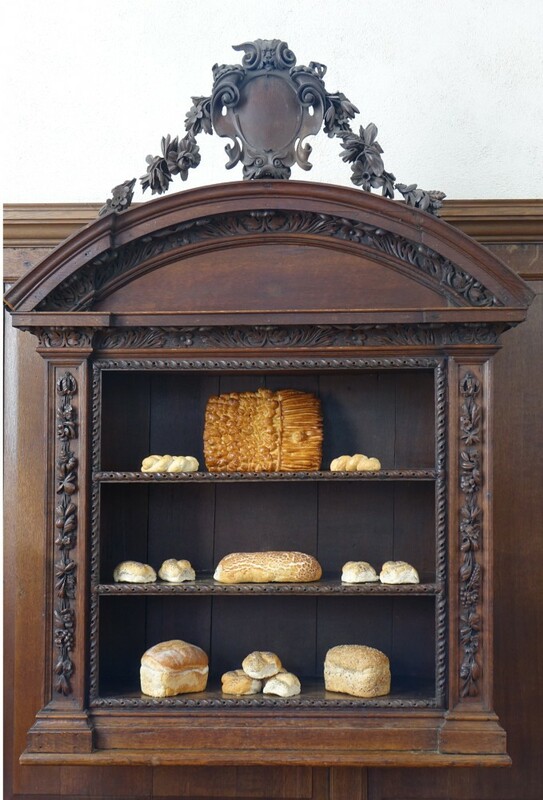 It was burnt out in 1941 and restored 1955-57 by Godfrey Allen. 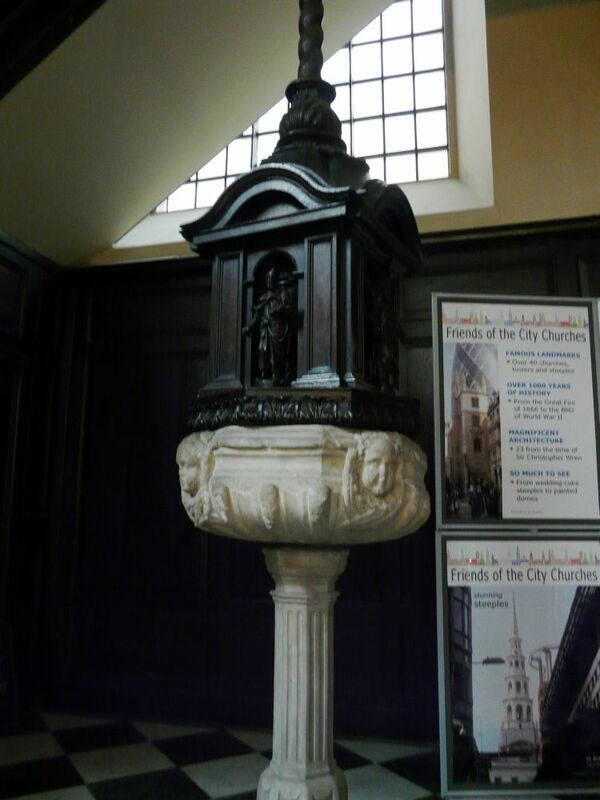 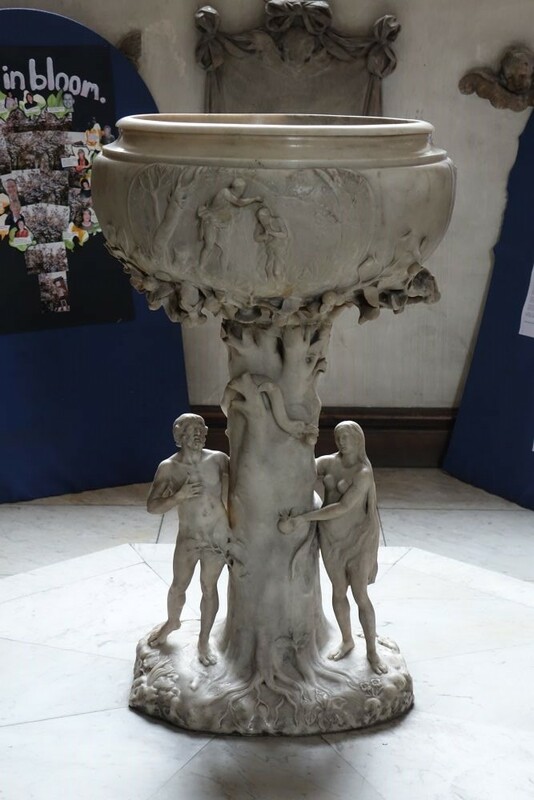 The crypt is also the home of an interesting museum about the city and the earlier history of the church.